You have to hand it to stop-motion Lego animators - they have an immense amount of patience to not only build structures that look like scenes and buildings from movie trailers, but then they have to do the actual filming process (unless it's been made easier over the years). 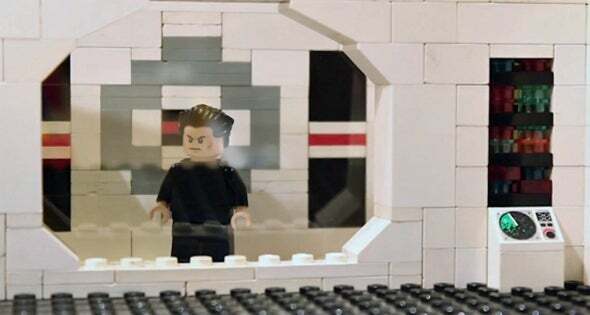 So give some video view love to Antonio Toscano, who constructed this "Lego Star Trek Into Darkness Trailer", a shot-by-shot take of the movie trailer for the Star Trek sequel coming out this summer. He also did a Lego trailer for the "Man of Steel" movie, but I don't think many people are as excited for that film as they are for the Star Trek one. Maybe Antonio can take on the Iron Man 3 trailer next (fingers crossed).